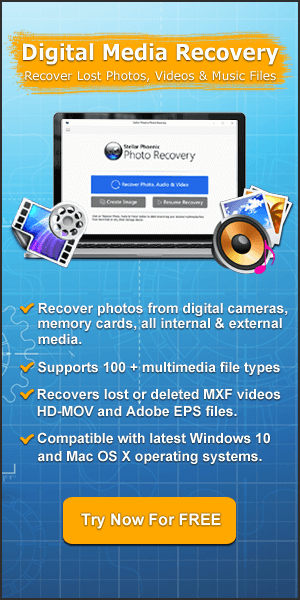 Easily Recover Lost, Inaccessible or Locked Photos, Videos and Audio Files From Write-Protected SD Card! Summary: The lock switch on the SD card got broken leaving the card in write protected state? Want to extract data from write-protected SD card? Window was unable to complete the format SD card? 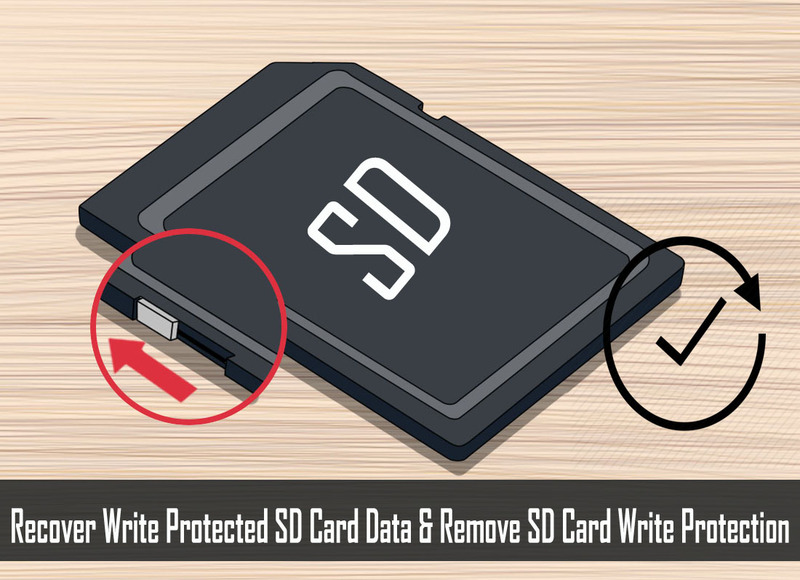 Well, in this blog post you will learn the best way to recover write protected SD card data and then the guide to remove write protection from the card if its lock switch is broken. Just read the post till the end and follow the instructions. Effectively and quickly retrieve data from write-protected SD card. 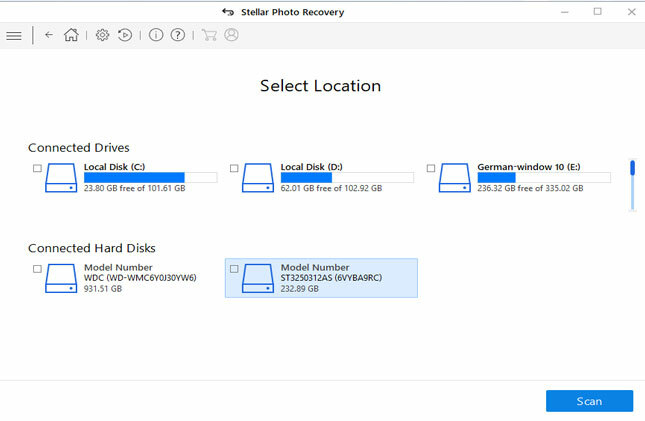 Restore lost, inaccessible, missing files from encrypted, unreadable and locked SD memory card. 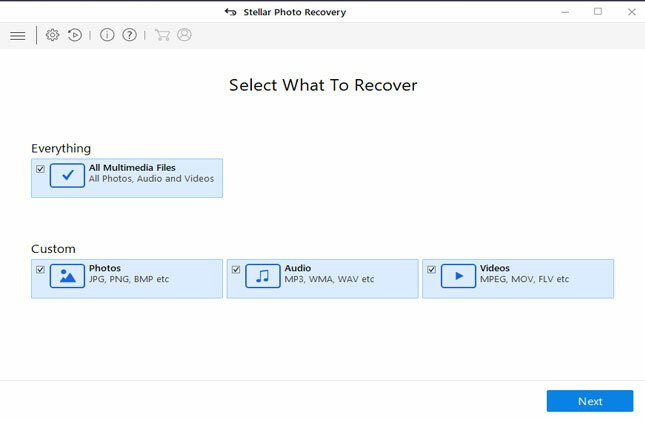 Retrieve media files such as pictures, videos and audio files. Support all types of memory card (SD, miniSD, microSD, SDHC, SDXC, MMC, etc) of different brands such as SanDisk, Transcend, Lexar, Sony, Samsung, Strontium, etc. Also extract data from write-protected USB drives such as pen drive, memory stick and other USB flash drives. Well, as we all know that SD memory card is small device that comes in different size capacity and can store large amount of data. It is used in different gadgets such as phones, tablets, digital cameras, mp3 player, iPod, headset with music player and so on. Let me also tell you that there are many SD cards that come with LOCK ON and OFF switch and when your card becomes write protected, then you are not able access files stored within it or even add or delete files from it. You are not alone facing this problem, there are many people out their encounter with this same issue. Just check out practical scenarios below! ive read a whole mess of write protection on this forum and how to take it off. ive tried everything. my card is a Sandisk SD 1 gig card. Im trying to use it to transfer songs from my computer to another computer in the house. I’ve tried going to the properties of the memory card because one of the discussions said to unclick the read only, but everytime i do that it always comes back and something pops up when i try to put the music in the folder that says “Remove the write-protection or use another disk”. there is no problem with me deleting and putting music on it on tha other computer. its just this one. i’ve also tried unlocking the sandisk and nothing still works. can anybody please help wit this? How to get data back from protected Micro SD card? I have created password for transcend 32 gb Microsd card in my HUAWEI P9 Lite. I formatted that mobile recently and tried to used above sd card with Huawei P6. I cant find microsd card neither in p6 nor in PC. I have important files and images in microsd. How can I make my microsd card to get detected in PC or how can I get my data back using some other alternative options? Please help!!!!! Beside above mentioned scenarios, there are several users out there facing similar types of problem with their SD card. But how these SD memory card get write protected? Well, below find the answer by yourself! Additional Reading: How to Fix Card is “write protected” error message? Reasons: How SD Cards Get Write-Protected? When switch lock of the card gets broken, leaving the card in write protection state. If they are used in different and multiple gadgets. When they are removed abruptly or improperly from the device when it is in read-write process. When virus infect the card making the files as well card corrupted and locked. When this happen then SD card get write protected, then you may lose all important data stored within it. It is because, the card is locked and files present in it cannot be copied, moved or edited. What, worse – your write protected SD card can get corrupted and you may lose files if you try to format the locked SD card or try to use it in multiple devices to check whether files are accessible or not. So, now the question is that can we get back data from write protected or locked SD card? Find the answer by yourself below. Additional Reading: How To Get rid of Memory Card is Locked Error? Is it Possible To Get Back Data From Write Protected or Locked SD Card? It is obvious that under all above mentioned situations, you would be worried about the valuable files that are present in the SD memory card. Well, do not get worried, just relax! 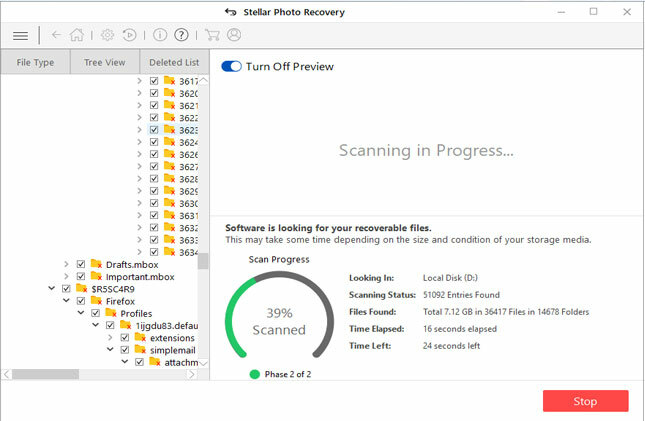 You still have the chance to securely retrieve inaccessible data from the write-protected or locked SD card with the help of suitable SD Card Data Recovery tool. Note: You must stop using your card and do not format it or use it in different gadgets to see if you can access files or not. 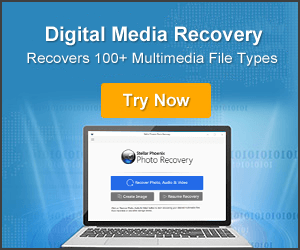 The only and one of the best and suitable SD Card Data Recovery software is Photo Recovery. 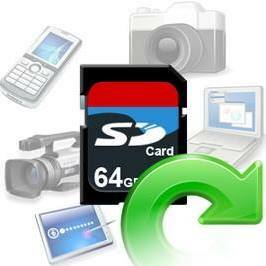 It will help you to recover files from write protected or locked SD memory card. It will let you to retrieve media files such as photos, videos and audio files of several file formats from the card that is write protected. It can also retrieve files from unreadable, unrecognized, encrypted, damaged, corrupted, virus infected SD card. The write-protected SD card data recovery software support various memory card such as miniSD, microSD, SDHC, SDXC, xD, CF, MMC and other types of card manufactured by different company like SanDisk, Transcend, Strontium, Toshiba, Samsung, Lexar, Kingston, etc. The software also extracts media files from write protected USB drives and also recover deleted or lost files from hard drive, external hard drive, digital camera, memory cards and other media storage devices. Once, you successfully restore files from write-protected SD memory card you can then proceed further to remove write protection or format the card so that you can reuse it. Below find out how to remove write protection from SD card! If your memory card has lock switch and if it is not broken, then slide the lock switch to unlock position. This will remove write-protection off your card. Shutdown your PC or laptop. Insert write-protected SD card in card reader and connect it to your PC. Now restart your PC and as your PC start continue to press F8 key to bring up the Advanced Boot Options. For the option select the option “Safe Mode With Command Prompt”. After loading files if your SD card drive letter name is H for example, then type following command: C:\windows\system32>H: and hit ENTER. H:\>format H: and hit ENTER. If it asks you (Y/N) then select (Y) and hit ENTER. This will start full format of your write protected SD card. Once, the process complete successfully, you can then reuse your SD card again. As of now you know about perfect SD Card Data Recovery Solution that could help you to recover data from write protected SD card and also you have learned different solutions on how remove SD card write-protection so that you can re-use it again without any problem. 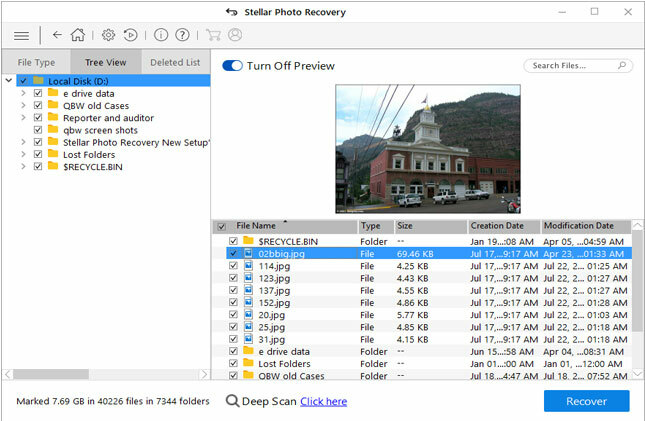 Learn To Recover Write Protected SD Card Data. Find Best Way For Data Recovery From Write Protected or Locked SD Card. Also Learn Solutions To Remove Write Protection From SD Card.